SAVANNAH may be synonymous with curtains of Spanish moss, but a different species of plushy green plant has captivated attention this month. 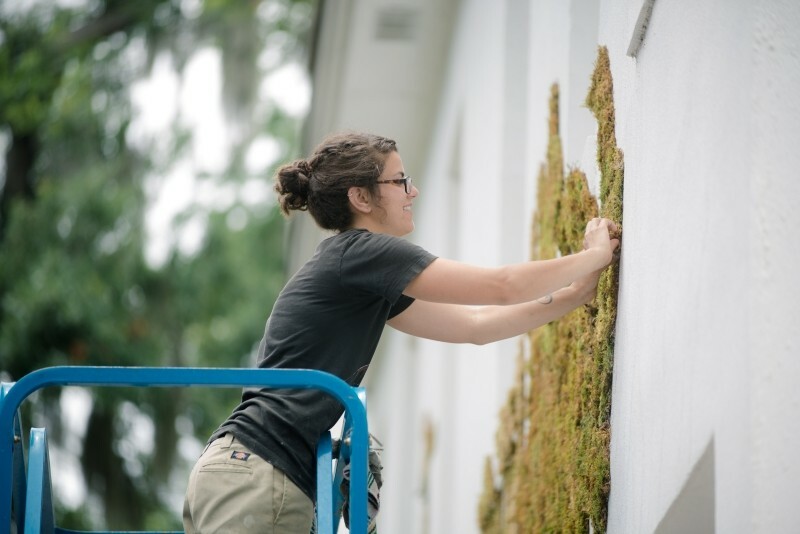 Now through the end of June, a mural composed entirely of Hypnum moss is gracing the façade of Judge Realty on Abercorn Street, the first local public art project made from pleurocarp, a fast-growing type of moss that covers evenly and holds up to the elements. 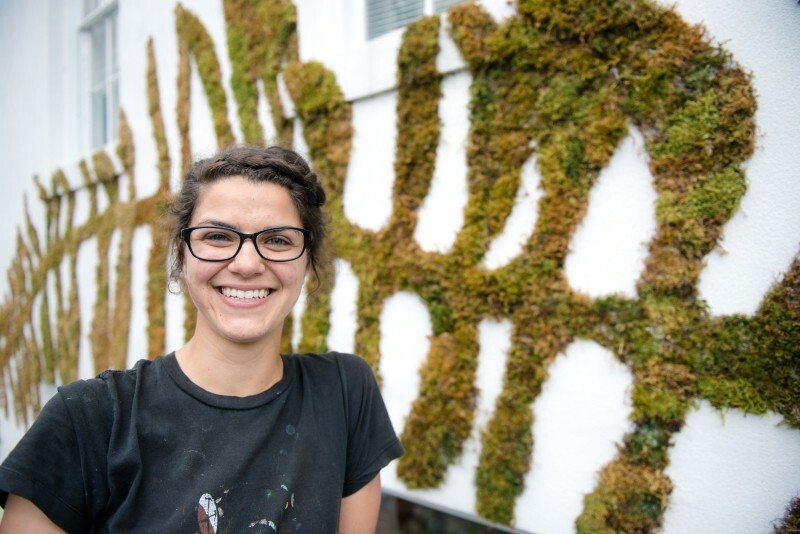 Artist Jamie Bourgeois designed the fern and fauna motif and applied the lush sheets with a slush of fertilizer and plain yogurt over the period of a week. The living art will continue to grow as long as it stays moist and shaded, which means daily spritzing. The building’s eastern direction has crisped some sections of the moss into different colors, giving an ombré effect. 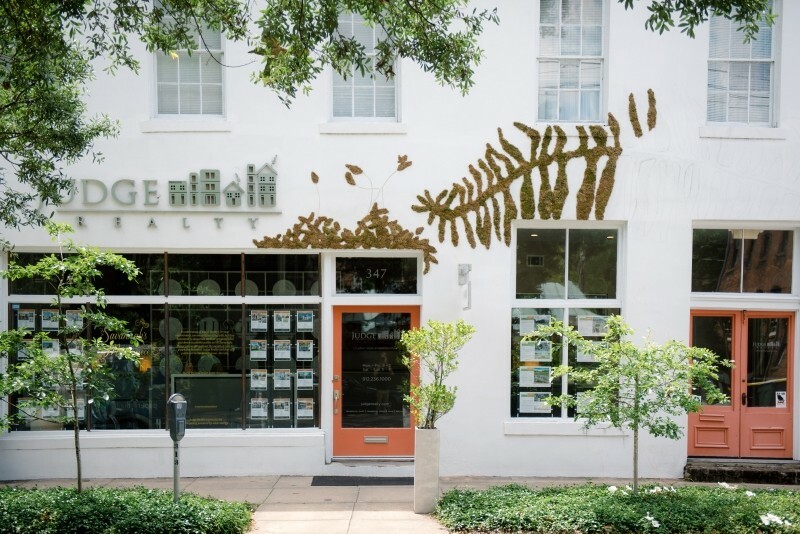 Artist Jamie Bourgeois designed the fern and fauna motif on the façade of Judge Realty to help commemorate 10 years in business and champion the cause of public art in Savannah. Conceived in partnership with ArtRise Savannah, the project is meant to commemorate a decade in business for Lori Judge as well as the real estate broker’s passion for art and artists. She launched the Judge Realty Permanent Art Collection last year with Kedgar Volta’s Urban Imposition—a moving installation visible 24/7 from the sidewalk—and advocates for more partnerships between business leaders and the artistic community. 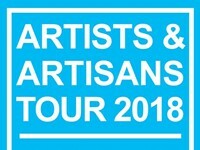 “I hope to draw attention to how the business sector can help grow an art economy that benefits the whole city,” says Judge, who hosted an installation by Katherine Sandoz on the transom of her office in 2012. The project highlights Savannah’s intrinsic link between art and commerce (a connection memorialized on the front of City Hall) and dovetails perfectly into ArtRise’s mission of creating opportunities for working artists like Bourgeois. 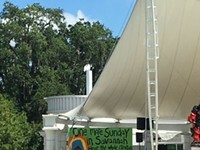 The natural materials of Savannah’s Mossterpiece also represent Judge’s commitment to putting her money where her mouth is when it comes to the environment. Committed to reducing her personal and commercial carbon footprint, Judge drives an electric car and took her entire office off the grid this spring after installing solar panels on the roof. “Our historic buildings are a vital part of our city’s economy. 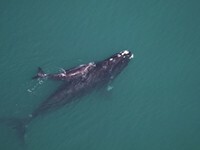 Some of them are centuries old, yet it’s possible for them to run on solar energy. I think that’s amazing,” she enthuses. The sprawling fronds and flying birds of the moss mural continue to amaze passersby, many who stop to touch it gingerly and marvel. 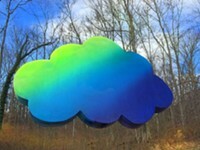 The colors and coverage are expected to evolve throughout the month depending on the weather, a reminder of public art’s dynamic climate. “We’ll see what happens,” shrugs Bourgeois with a smile. 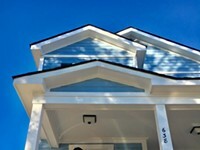 Where: Judge Realty, 347 Abercorn St.